In August, I travelled to New York State, to take a good look at the wines being made here. Of chief interest were wines from the Finger Lakes and Long Island, the two most significant regions in the state. They’re geographically quite far apart, but they have one thing in common: proximity to water moderates the hot summers and cold winters so it’s possible to grow interesting wine grapes here. In this series of articles, I’ll tell you about the producers I visited, report on my favourite wines, and try to argue why these regions, little heard of outside of the USA, deserve more attention. The Eastern United States has a long history of growing grapes for wine. The English made a permanent settlement here in 1607, and by 1609 they had made 20 gallons of wine from grapes found growing in the wild. Vitis vinifera, the Eurasian grape, arrived from Europe in 1619, but repeated early efforts to make wine from these vines were doomed to failure because of the presence of downy and powdery mildew, and, of course, phylloxera. And the wine made from grapes found growing wild wasn’t all that good: they have small bunches with small berries, and the resulting wine is quite low in alcohol and very high in acidity, although it does have good colour. The first commercial winery in the USA was in Spring Mill in Philadelphia, established in 1786. They made wine from Alexandra, which is what is known as a chance hybrid. The hybrid grapes, resulting from a cross of native varieties with each other, or with Vitis vinifera, produced much more acceptable wines than simply picking wild-grown grapes. To a classic European palate, these wines were a little unusual, but they were to all intents and purposes wine, and there was a market for them. To this day, the various iterations of hybrids, with their disease resistance and cold tolerance, remain important for New York State wine, although since the 1950s some success has been achieved with Vitis vinifera, particularly in the more privileged sites, such as near water bodies where winter lows are moderated. Alexandra was the first hybrid variety to be planted. This was followed by another chance hybrid, Catawba, in 1802. By the late 1850s this variety was responsible for a third of the USA’s wine. Isabella (1816), Delaware (1849) and Concord (1853) were other important hybrids. In the second half of that century, the largest wine-producing states were New York, Ohio, Missouri and New Jersey. So if the Eastern United States – and in particular the Finger Lakes – was such a big deal, what happened to change things? After the repeal of prohibition, all the states had a chance to create their own liquor laws. It turns out that California enacted very liberal and enlightened laws, and they also had a relatively trouble free climate as far as wine was concerned. And, in addition, they also had the marketing genius of the likes of Robert Mondavi who really put the state on the map. So California soared ahead, and New York State was left doing its own thing, quite content to service the local market with no ambitions to change the world. 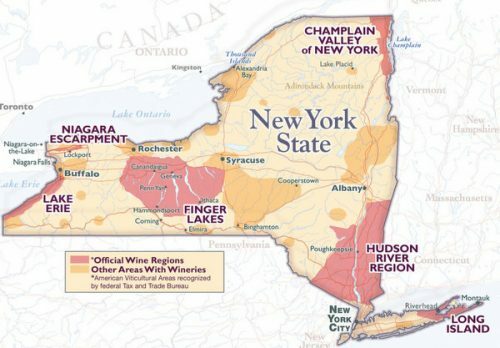 New York State has five main wine regions. First we have the Finger Lakes and then Long Island, the two regions this series will focus on. Then there is the Hudson River Valley, which covers a large area but which has relatively few vineyards. Lake Eyrie is on the south shore of the eponymous lake, and is a large region of some 30 000 acres of vineyards. But most of these grapes are Concord, used to make grape juice, although there are 23 wineries operating in the region. Then there is the Niagara Escarpment, which is an extension of the Canadian Niagara region, although less developed. The proximity of Lake Ontario provides the climate-moderating effect here. A sixth AVA region is the Champlain Valley, bordering Vermont, but this is really tiny. The largest wine region in New York State is the Finger Lakes, up-state not far from the Canadian border. 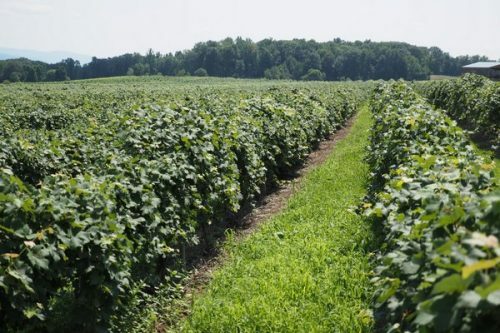 To understand the Finger Lakes wine region, you have to understand its history. For most of its life, this wine region has been all about supplying local demand. It has a climate that is challenging for viticulture, but which, in concert with its soils, is capable of producing some really smart wines. But serious, high quality wine hasn’t typically been what the local market has wanted. Finger Lakes is in New York State. But it’s actually quite a schlep from New York City – it’s closer to Toronto, about a six-hour drive upstate or a similarly long train ride from New York, or more conveniently, a flight from Newark into Rochester, which is how we got there. The climate here consists of very cold winters, and relatively short summers. But once summer gets going, it can be hot and humid. And there will definitely be some growing season rainfall. The key factor here for viticulture is the presence of the lakes after which the region is named. These provide a moderating effect, stopping it getting too cold in the winter, and then cooling things down in the summer. Then, at the end of the season, they act like radiators helping the vines finish their job of ripening the grapes. The lakes are only 12 000 years old, formed when the last glaciation event. These were fjords of the Ontario lake at one time. The key viticultural challenges are winter lows, which can kill vines, and then the disease pressure that comes from the humid summers. It was for this reason that the focus here was traditionally on hybrid grape varieties which are cold tolerant and disease resistant. The hybrids are still grown here and currently represent about 35% of the vineyard area. Hybrids are actually quite interesting, and they can be split into three waves. First, we have the original crosses and the native American varieties. These are the likes of Concord, Catawba, Delaware and Isabella, many of which were chance crossings. Then we have the 2nd generation: the French-American hybrids, produced to combat phylloxera. The roll call of these includes Rougeon, Marechal Foch and Seyval Blanc. 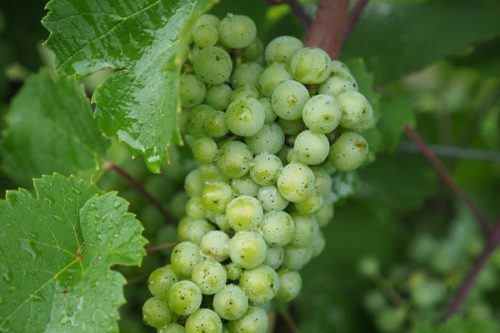 Then we have the 3rd generation, produced in the latter part of the 20th century at Universities such as Cornell, Minnesota and Michigan: this would include Cayuga, Vignoles and Traminette. The newer crosses taste less hybridy, and yet still retain cold hardiness and disease resistance. One important character in the history of Finger Lakes is Philip Wagner, who was a journalist with an interest in winemaking. Wagner moved to London in the 1930s for work, and there discovered reference to the French hybrids, known as hybrids producteurs directes (HPDs). On his return to the USA he found that many were already in vine collections in the USA, and so he began a nursery, and ended up championing their use in the state. These new hybrids made some very nice wines. After prohibition, four large companies emerged who came to dominate the Finger Lakes, and the wine production of New York State. The first is Pleasant Valley Wine Company, founded in Hammondsport in 1860. 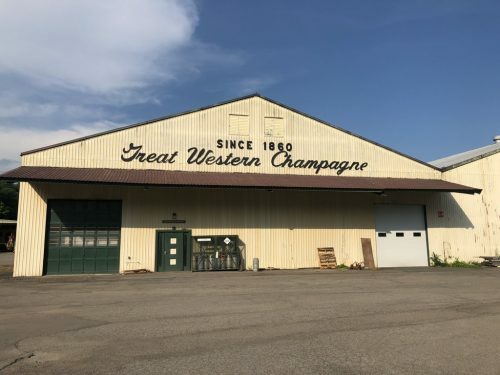 By 1865 they were producing 20 000 bottles of ‘Champagne’, labelled as Great Western Champagne. This won a gold medal at the Vienna Exposition in 1873. In 1961 Pleasant Valley was sold to the second major company, Taylor Wine Company. 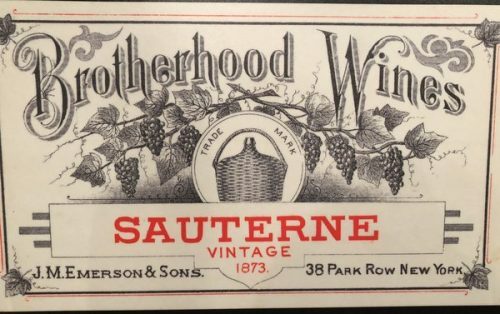 This was established in 1880 when a cooper, Walter Taylor, moved to Hammondsport and then ended up making wine. Taylor was sold to Coca Cola in 1977. The third was Urbana Wine Company, which was founded in 1865 and traded as Gold Seal Vineyards. By 1870 they were making 120 000 bottles of Champagne and 50 000 bottles of still wine. Notably, Urbana hired Charles Fournier, the young cellar master of Veuve Clicquot, in 1934. Urbana was sold to Segram in 1979. The fourth of these companies was Widmer Wine Cellars, which started in 1888 on Canandaigua Lake. 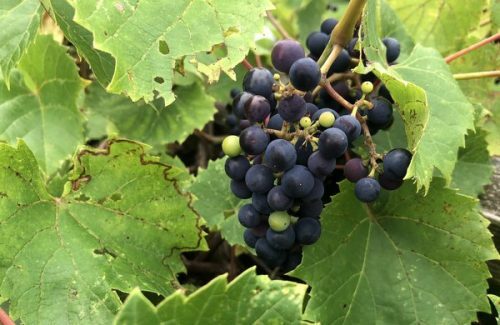 It was Dr Konstantin Frank who first really pushed the cause of Vitis vinifera varieties in the Finger Lakes, and his story is a fascinating one. Born in 1899 into a wealthy ethnic German family in Ukraine, Frank became a noted agricultural engineer, eventually earning a PhD. Although his family were on the wrong side in the post-1917 revolution war, they lost their land but remained in their part of Ukraine, where Frank got a job renovating and managing a huge state-owned vineyard. He replanted it with grafted vinifera vines, and famously developed a special plough to earth over the vines for the winter – winter cold was one of the viticultural challenges here. This saved a lot of labour. Then came the second world war, and Frank and his family had to flee the Nazis, then flee the Russians (as an ethnic German things wouldn’t have ended well), and then at the end they managed to find their way to an American-occupied area. Eventually, the family resettled in New York. As soon as he could earn enough money, Frank headed to Geneva, in the Finger Lakes, where he attempted to get a job more suited to his professional skills. The problem was that although he spoke a number of languages, English wasn’t one of them. Frustratingly for Frank, he could only find low level agricultural work, even though he’d been running a sizeable agricultural college in Ukraine. But he was fortunate to meet Charles Fournier of the Urbana Wine Company. Fournier himself had an interesting background: he came to the USA in 1934 after being headhunted from his role as winemaker with Veuve Clicquot. The partnership between Frank and Fournier was to prove pivotal in introducing vinifera into the region, although Frank’s insistence that vinifera was the only way to go didn’t endear him to his bosses, whose company was making good money out of wines made from hybrids. Frank, who by all accounts became progressively more stubborn and difficult, left Urbana in 1962 (some accounts say he was fired, others say he had had enough) and began his own vinifera-only winery, which is now one of the leading producers in the region. 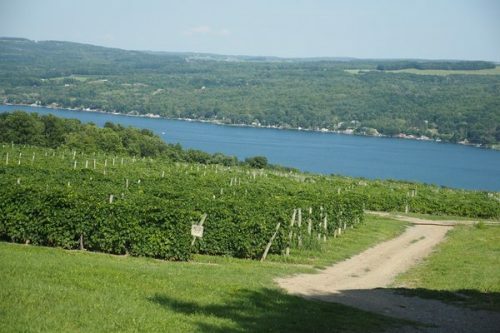 The most significant factor in the development of the Finger Lakes was the Farm Winery Act, passed in June 1976, and it was in response to a crisis. The large wine companies relied on a network of growers. In 1974 and 1975 there were two large harvests, and because the major companies were buying in around a quarter of their needs from California (wine, to blend in with their own), a surplus began to develop. In 1975 Widmer’s only bought part of their contracted harvest, and in in 1976 Taylor’s bought less than the full crop of their 400 growers. But the cost of a winery licence was prohibitively expensive, at $1600 a year, putting off farmers from making wine themselves. The 1976 Act changed this, and slashed the cost to just $125 a year, making it feasible for smaller operations to begin making and selling wine. There were 19 bonded wineries in New York in 1975, and this number rose to 100 in 1985, and currently sits at around 420. 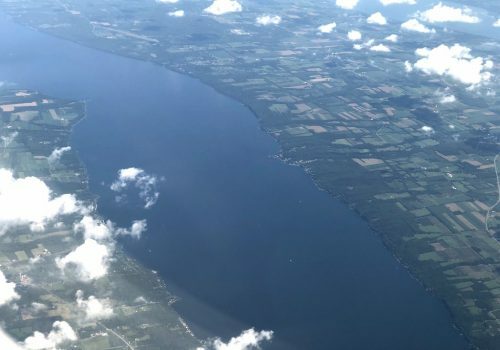 The Finger Lakes is currently in flux. Previously, they have mostly relied on a direct sales model to the local market. This was fine when there were 100 wineries, but now there are 420 plus brewers and distillers, everyone is chasing the same customers. There is a need to sell more widely, and to export. If you sell direct you need a range of wines to satisfy your customers. 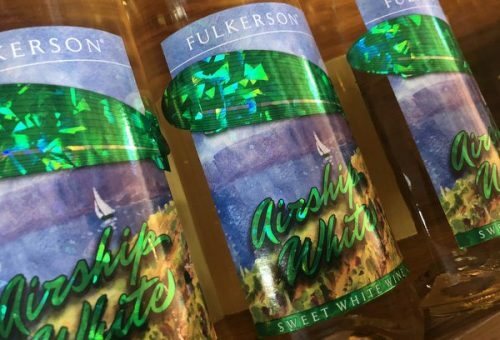 This can result in large ranges that lack focus, and which carry product lines that tourists like (cheaper, sweeter wines from hybrids) but which have little market potential elsewhere. So the region can be split roughly into two bands of producers. First, those with local aspirations, who make a good deal of their money from inexpensive hybrid-based wines, many of which are quite sweet. Then there are producers focusing on vinifera, making more ambitious wines with export potential. Some do a bit of both, of course. On this trip I didn’t like everything I found (it’s very rare for that to happen), but I found plenty of interesting things. The star grape is clearly Riesling, but Cabernet Franc is also strong. Chardonnay is up and down, but Blaufrankisch (which many call Lemberger, the German name) does pretty well. There’s also some interesting Gewurztraminer, and oddities like Rkatsitelli. Wondering if you could tell me if there is value to 5 bottles of wine I have from 1970s?